Epic Games will be running a rather interesting event for Fortnite. Later today, you can transform yourself into the Mad Titan, Thanos, in the battle royale game. That’s right, the very same Thanos in Avengers: Infinity War. 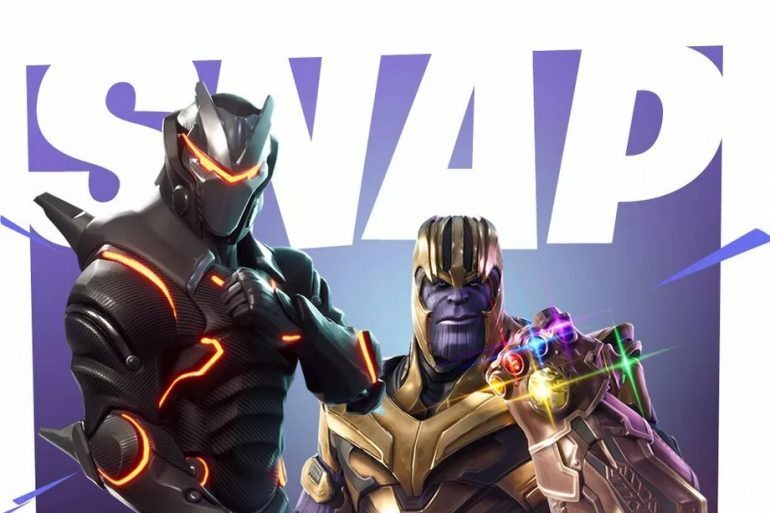 Dubbed “Infinity Gauntlet Limited Time Mashup,” Fortnite players can find the Infinity Gauntlet somewhere in the game’s map once the crossover event is live. Containing all six Infinity Stones, the gauntlet will supposedly grant a form of power-up. Of course, once equipped, you will turn into Thanos himself too. For now, it’s not known yet if the location of the Infinity Gauntlet will be randomised, and what kind of power-up the gauntlet will grant players. Nonetheless, it’s likely safe to assume that whoever has the gauntlet equipped will be targeted by other players. The crossover event will be available on all platforms, and it still remains to be seen exactly how long the event will last. Fortnite will be down for maintenance later today at 4PM to patch in the v4.1 update, which should also include the Avengers: Infinity War crossover content. Hopefully, the maintenance won’t take too long – most are expecting between one to two hours of downtime.